Unternehmen Paula (Undertaking or Operation Paula)   is the German codename given for the Second World War Luftwaffe offensive operation to destroy the remaining units of the Armée de l'Air (ALA), or French Air Force during the Battle of France in 1940. On 10 May the German armed forces ( Wehrmacht ) began their invasion of Western Europe. By 3 June, the British Army had withdrawn from Dunkirk and the continent in Operation Dynamo, the Netherlands and Belgium had surrendered and most of the formations of the French Army were disbanded or destroyed. To complete the defeat of France, the Germans undertook a second phase operation, Fall Rot (Case Red), to conquer the remaining regions. In order to do this, air supremacy was required. The Luftwaffe was ordered to destroy the French Air Forces, while still providing support to the German Army. A military operation is the coordinated military actions of a state, or a non-state actor, in response to a developing situation. These actions are designed as a military plan to resolve the situation in the state or actor's favor. Operations may be of a combat or non-combat nature and may be referred to by a code name for the purpose of national security. Military operations are often known for their more generally accepted common usage names than their actual operational objectives. For the operation, the Germans committed five Air Corps to the attack, comprising 1,100 aircraft. The operation was launched on 3 June 1940. British intelligence had warned the French of the impending attack, and the operation failed to achieve the strategic results desired by the Oberkommando der Luftwaffe (High Command of the Air Force). However, the plight of the French ground and air forces at this stage meant that the failure of the operation would not impede the defeat of France. Corps is a term used for several different kinds of organisation. 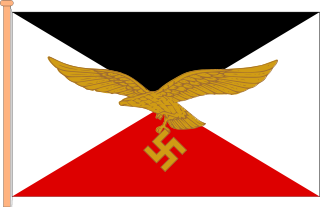 The Oberkommando der Luftwaffe (OKL), translated as the High Command of the Air Force, was the high command of the Luftwaffe. Franz Halder was a German general and the chief of the Oberkommando des Heeres staff from 1938 until September 1942, when he was dismissed after frequent disagreements with Adolf Hitler. During the invasion of the Soviet Union Halder insisted on focusing on Moscow, despite Hitler's objections. Until December 1941 Halder's military position corresponded to the old Chief of the General Staff position, which during World War I had been the highest military office in the German Imperial Army. Halder's diary during his time as chief of OKH General Staff has been a source for authors that have written about such subjects as Hitler, World War II, and the Nazi Party. In William Shirer's The Rise and Fall of the Third Reich, Halder's diary is cited hundreds of times. The Manstein Plan is one of the names used to describe the war plan of the German Army during the Battle of France in 1940. The original invasion plan was a compromise devised by Franz Halder and satisfied no one. Some documents with details of the plan fell into Belgian hands during the Mechelen incident of 10 January 1940 and the plan was revised several times, each giving more emphasis to an attack by Army Group A through the Ardennes, which progressively reduced the offensive by Army Group B through the Low Countries to a diversion. The Battle of Dunkirk was a military operation that took place in Dunkirk (Dunkerque), France, during the Second World War. The battle was fought between the Allies and Nazi Germany. As part of the Battle of France on the Western Front, the Battle of Dunkirk was the defence and evacuation to Britain of British and other Allied forces in Europe from 26 May to 4 June 1940. 2nd Air Corps was formed on 11 October 1939 in Frankfurt am Main from the 2. Flieger-Division. During Operation Barbarossa and from 22 June to 12 November 1941, the Corps flew over 40,000 day and night sorties, dropping 23,150 tons of bombs and claiming 3,826 Soviet aircraft destroyed as well as 789 tanks, 614 artillery pieces, 14,339 vehicles, 240 enemy field positions, 33 bunkers, 159 trains and 304 locomotives along with relentless attacks on enemy troop concentrations and logistical choke-points. Kampfgeschwader 77 was a Luftwaffe bomber wing during World War II. Its units participated on all of the major fronts in the European Theatre until its dissolution in 1944. It operated all three of the major German bomber types; the Dornier Do 17, Heinkel He 111 and the Junkers Ju 88. Beauvais–Tillé Airport, branded as Paris-Beauvais Airport, is an international airport near the city of Beauvais in the commune of Tillé in France. It is the tenth busiest airport in France, handling 3,997,856 passengers in 2016, and is mostly used by charter and low-cost airlines. Between 1933 and 1945, the organization of the Luftwaffe underwent several changes. Originally, the German military high command, for their air warfare forces, decided to use an organizational structure similar to the army and navy, treating the aviation branch as a strategic weapon of war. Later on, during the period of rapid rearmament, the Luftwaffe was organized more in a geographical fashion. Rennes–Saint-Jacques Airport or Aéroport de Rennes–Saint-Jacques is a minor international airport about 6 kilometres (3.7 mi) southwest of Rennes, Ille-et-Vilaine, in the region of Brittany, France. Adlertag was the first day of Unternehmen Adlerangriff, which was the codename of a military operation by Nazi Germany's Luftwaffe to destroy the British Royal Air Force (RAF). By June 1940, the Allies had been defeated in Western Europe and Scandinavia. Rather than come to terms with Germany, Britain rejected all overtures for a negotiated peace. Kampfgeschwader 55 "Greif" was a Luftwaffe bomber unit during World War II. KG 55 was one of the longest serving and well-known in the Luftwaffe. The wing operated the Heinkel He 111 exclusively until 1943, when only two staffeln of its four Gruppen (Groups) used the Junkers Ju 88C. Chièvres Air Base is a United States Air Force operated airfield located 1 nautical mile east southeast of the Walloon town of Chièvres in the province of Hainaut, Belgium and about 12 mi (19 km) from Headquarters, Supreme Headquarters Allied Powers Europe (SHAPE), in Casteau. It is mainly used to provide logistic support to NATO and SHAPE. The station and support facilities are operated by the United States Army Garrison Benelux for NATO. Kampfgeschwader 3 "Blitz" was a Luftwaffe bomber wing during World War II. Kampfgeschwader 51 "Edelweiss" was a Luftwaffe bomber wing during World War II. Kampfgeschwader 54 "Totenkopf"(German pronunciation: [ kampfɡəʃvaːdɐ fiːɐ ʊntfʏnftsɪç ]) was a Luftwaffe bomber wing during World War II. It served on nearly all the fronts in the European Theatre where the German Luftwaffe operated. Battle of Britain Day is the name given to the day of the large-scale aerial battle that took place on 15 September 1940, during the Battle of Britain. X. Fliegerkorps was a formation of the German Luftwaffe in World War II, which specialised in coastal operations. It was formed 2 October 1939, in Hamburg from the 10. Flieger-Division. Saint-Dizier-Robinson Air Base is a front-line French Air Force (ALA) fighter base located approximately 4 km west of Saint-Dizier, in the Haute-Marne department of the Champagne-Ardenne region in northwestern France. Châteaudun Air Base was a French Air Force (French: Armée de l'Air base, until 1934 and 2014. The base was located approximately 3 miles southeast of Châteaudun; about 70 miles southwest of Paris. It is currently an airfield rattached to Orléans – Bricy Air Base. Brétigny-sur-Orge Air Base is a French Air Force French: Armée de l'Air (ALA) base. The base is located approximately 2 miles (3.2 km) southeast of Brétigny-sur-Orge; about 17 miles (27 km) south of Paris. 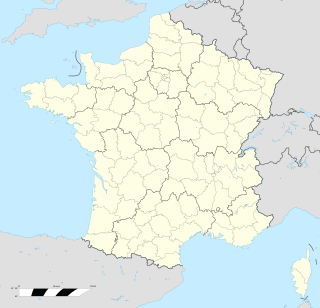 Vélizy – Villacoublay Air Base is a French Air Force (French: Armée de l'Air base. The base is located approximately 2 miles southeast of Vélizy-Villacoublay; about 8 miles southwest of Paris. Lippstadt Airfield is a former military airfield located in Germany, located in the northern part of Lippstadt (Nordrhein-Westfalen); approximately 222 miles west-southwest of Berlin. The Heinkel He 111 was one of the most numerous German bombers of the Second World War. Designed in the mid-1930s, the type persevered until 1945. In Spain, variants of the design saw service until 1973. Kampfgeschwader 1 was a German medium bomber wing that operated in the Luftwaffe during World War II. 'Kampfgeschwader' 27 Boelcke was a Luftwaffe medium bomber wing of World War II. Axis and Soviet air operations during Operation Barbarossa took place over a six-month period, 22 June – December, 1941. Aviation played a critical role in the fighting on the Eastern Front during this period, in the battles to gain and maintain air superiority or air supremacy, to offer close air support to armies on battlefield, interdicting enemy supply lines, while supplying friendly forces. The Axis air forces were generally better equipped, trained and experienced in executing military tactics and operations. This superiority increased because of the Great Purge in the 1930s and mass expansion of Soviet air forces, which did severe damage to organisational structures. ↑ Chant 1987, p. 180. 1 2 3 4 5 6 7 8 9 10 11 12 13 14 15 16 Hooton 2007, p. 84. ↑ Mackay 2003, p. 62. ↑ Chant 1987, p. 10. ↑ Healy 2007, pp. 3–5. ↑ Healy 2007, pp. 5–8. ↑ Healy 2007, pp. 8–11. ↑ Bond 1990, pp. 43–44. ↑ Hooton 2007, pp. 47–48, p. 77. ↑ de Zeng et al Vol. 1, 2007, p. 114. 1 2 Hooton 2007, p. 82. ↑ Weal 2000, p. 35. ↑ Hooton 1994, p. 263. 1 2 Hooton 2007, p. 81. ↑ Hooton 2007, pp. 82–83. 1 2 Hooton 1994, pp. 263–264. ↑ Hooton 2007, pp. 78–79. ↑ de Zeng et al Vol 1 2007, pp. 23–31. ↑ de Zeng et al Vol 1 2007, pp. 193–201. ↑ de Zeng et al Vol 1 2007, pp. 36–48. ↑ de Zeng et al Vol 1 2007, pp. 49–60. ↑ de Zeng et al Vol 1 2007, pp. 13–22. ↑ Hooton 2007, p. 78. ↑ de Zeng et al Vol 1 2007, p. 188. ↑ Hooton 2007, p. 78–79. ↑ Hooton 2007, pp. 83–84. ↑ Mackay 2003, pp. 62–63. ↑ Jackson 1974, p. 80. ↑ French Air Force order of battle, 5 June 1940. 1 2 3 Hooton 1994, p. 264. 1 2 Jackson 1974, p. 81. ↑ Mackay 2003, p. 63. ↑ Hooton 2007, pp. 84–85. ↑ Hooton 2007, pp. 85–86. Hooton, Edward. Luftwaffe at War; Blitzkrieg in the West. London: Chevron/Ian Allan. 2007. ISBN 978-1-85780-272-6.